Do you bathe your baby every day? If so, you may be putting your child at risk for a long-term skin disease called atopic dermatitis. “Atopic” refers to a tendency to develop allergy conditions. “Dermatitis” means swelling of the skin. Children who develop atopic dermatitis, also sometimes called eczema, usually do so during their first year of life. It causes itchy skin that is red, warm and tender, often on the scalp, forehead and face. While there are treatments that can help, recent studies suggest that atopic dermatitis can be avoided altogether with simple steps. I generally recommend to my patients that babies should be bathed no more than three times a week. Furthermore, I encourage parents to be aware of what is in the baby wash and shampoo and make sure their baby’s skin is properly moisturized by applying a fragrance-free, hypoallergenic moisturizing lotion immediately after the bath to help keep the skin from drying out. Research recently published in The Wall Street Journal (11/4, D3, Linden, Subscription Publication) suggests that atopic dermatitis in infants can be prevented with proper skin care and perhaps fewer baths, no more than three a week. Similar recommendations have been published by The American Academy of Pediatrics on its website. •	For the first year, give baths no more than two or three times a week to avoid drying out the baby’s skin. •	Apply moisturizer liberally immediately after the bath. Putting it on when the skin is still moist will seal in the water. •	Use mild, non-soap cleansers designed for a baby’s skin. Fragrance-free is best. Even herbal ingredients can be irritating to the skin. •	Thicker or oily moisturizing products are better at keeping the skin moist. •	Consider products with the National Eczema Association’s seal of acceptance. These don’t contain ingredients that are known irritants to sensitive skin. Environmental factors such pollutants and indoor heating can also disrupt the infant’s skin’s ability to keep moisture in and allergens and microbes out. The condition usually occurs before the age of 18 months, when a baby’s skin is still developing. It can be very uncomfortable and may come and go for months or years. If not treated properly, the condition could lead to skin infections. While I strive to focus on prevention, if the condition develops, I can help parents learn how to take care of their baby’s affected skin and recommend safe and effective treatments to relieve much of the discomfort of atopic dermatitis. Low Country Dermatology specializes in the treatment of adult and pediatric diseases of the skin, hair and nails. Dr. Corinne Howington is a board certified dermatologist, with expertise in medical, surgical and cosmetic dermatology. Low Country Dermatology is located at 310 Eisenhower Dr. Suite 12A Savannah, GA 31406. For more information, visit lcderm.com . (Savannah GA) For the second-straight season, WSAV sports director Ken Slats is proud to announce that the Savannah NBC/MNT station will broadcast six local college and high school games as part of its BLITZ BASKETBALL SERIES. These basketball broadcasts come on the heels of the stations highly successful “Thursday Night Blitz Game of the Week” series of live high school football games. Play-by-play for each broadcast will be provided by Slats with color commentary by a host of guest analysts hand selected for each game. The Blitz Basketball Series will feature three area high school and three local college games. Each will air on WSAV’s digital 3.2 channel MyLC at 7:30 pm (with the exception of the Savannah State University game which will be at 8 pm). Each game will also stream LIVE on WSAV.com. The complete schedule is below. 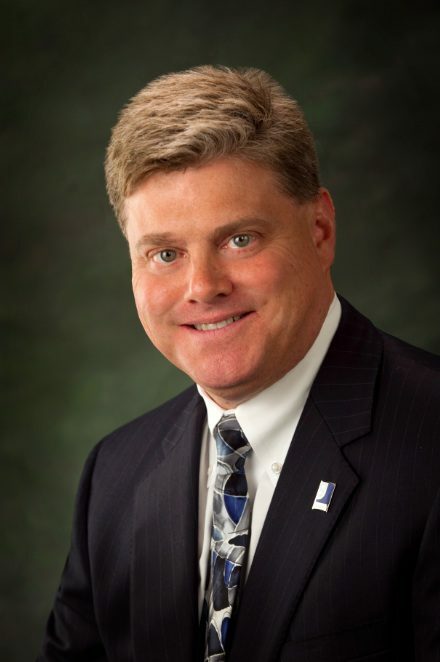 (SAVANNAH, GA) The Savannah Jaycees announce that Ryan Chandler, Vice President of Business Development at Colonial Group Inc., will be the first speaker in the 2015 Leadership NOW Lecture Series on Tuesday, January 6 at the Savannah Jaycees headquarters, located at 101 Atlas Street. Leadership NOW is a lecture series focused on leadership, management, and professional skills. Chandler will present “Colonial Group: Navigating the Seas of Change as One of Forbes Largest Privately Owned Companies.” Open networking begins at 5:30 and the program will run from 6 p.m. to 7 p.m.
Chandler is Vice President of Business Development at Colonial Group Inc., the parent company of several local subsidiaries including Colonial Oil, Colonial Terminals and Enmark. Colonial Group, which spans three generations, is currently ranked on Forbes list as one of America’s Largest Private Companies with over 1,100 employees, boasting an average tenure of 20 years. Outside of work, Chandler serves as Chairman of Junior Achievement of Georgia’s Coastal Georgia District and has volunteered in the classroom for the past ten years. He also serves on the vestry of Christ Church Episcopal, where he co-chairs the stewardship campaign. 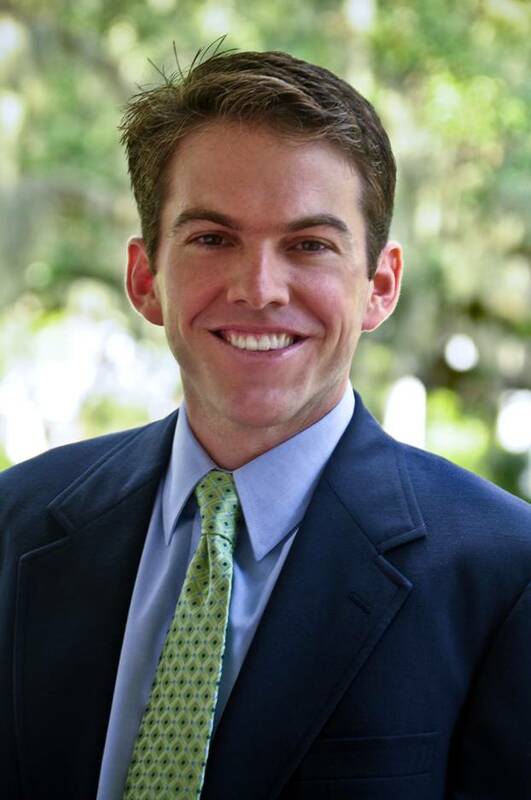 In 2013 he was recognized by Savannah Magazine as one of Savannah’s Top 20 under 40 Rising Stars of Business. A third generation family company founded in 1921, Colonial Group, Inc. (“Colonial Group”) is a diversified energy and port-related company, ranking #161 on Forbes List of America’s Largest Private companies with over 1,100 employees. Its history is rooted in the marketing, retailing, and distribution of petroleum products for the transportation, industrial, and marine applications. Over the years, its offerings have grown to include natural gas storage and marketing, liquid and dry bulk terminaling, retail fuel & ENMARK convenience stores, industrial chemical supply & distribution, and marine vessel safety and compliance consulting. For more information on Colonial Group, Inc., please call 912-236-1331 or visit www.colonialgroupinc.com . The Yates Astro/Bethesda Resolution Trail Run and Optim Orthopedics Pancake breakfast will kick off at 8:30 am on January 3rd, 2015. Organized by the Women’s Board of Bethesda, all proceeds will be used for the purpose of enriching and improving the lives of the boys at Bethesda Academy. Bethesda Academy is located at 9250 Ferguson Road. Early registration is encouraged. Participants can register online at www.fleetfeetsavannah.com/bethesda or www.runsignup.com. The registration fee is $25 until December 25th and then will increase to $35. Registration is allowed on race day. Additional pancake breakfasts are available at $3 each. For more information about the race, or to become a sponsor, please contact Lisa Wilkes at lisawilkessavannah@gmail.com. (SAVANNAH, GA) For people with different abilities, it’s often a series of small victories combined with big ones that can make the difference of a lifetime. This was one of the big ones. After an unprecedented bipartisan show of support by the US Congress, President Barack Obama has signed the ABLE Act into law. With his signature, the president has paved the way for people with different abilities to open tax-free savings accounts where they can amass more than $2,000 without losing government benefits. The President signed the bill prior to leaving for his Christmas vacation, shortly after the US Senate passed the Achieving a Better Life Experience (ABLE) Act (H.R. 647/S. 313) with 78 cosponsors on December 23. The bill had sailed through the House earlier in the month, in a huge show of bipartisan support with a 404-17 vote. The new law is aimed at helping parents provide for the future of their children with different abilities without worrying about penalties or other obstacles. Cincinnati lobbyist, Chip Gerhardt, who has a 17-year-old daughter with Down syndrome, championed the legislation. Anne Gerhardt is just one of millions of Americans who will benefit from the ABLE Law, including hundreds served in the Savannah area by the Lowcountry Down Syndrome Society (LDSS). The new law will permit people with different abilities, including the families of children with different abilities, to set up tax-free savings accounts, similar to 529 college savings accounts, to pay for qualified different ability expenses that might include education, housing, transportation, obtaining and maintaining employment, health and wellness, and other personal support expenses. The new “ABLE” accounts will let account holders build up a financial cushion without jeopardizing their eligibility for Medicaid and Social Security benefits. Previously, people with different abilities could not qualify for Medicaid and Social Security disability benefits if they had more than $2,000 in assets or earned more than about $680 per month. No other bill that has come before the 113th Congress has equaled or surpassed the ABLE Act’s bipartisan and bicameral support. Its passage into law may be a giant step forward in helping ease Washington gridlock, not to mention a big one for millions of Americans with different abilities, including many right here in the Savannah area. (SAVANNAH, GA) Michael Dixon came to Goodwill of the Coastal Empire in early June, a referral from Georgia Vocational Rehabilitation. Dixon, store clerk, had more than five years of work experience, but after a lay-off at a local grocery chain it was essential that he gain additional communication and conflict resolution skills. Goodwill’s two-month work adjustment training was the perfect program to equip Dixon with skills that would make him more employable. Now employed, Dixon can look back at 2014 and see how his life has changed since he met Goodwill. Through Goodwill Mission Services, Dixon was offered an opportunity to work in two different work environments. He performed on-the-job training in a warehouse production, area as well as in a custodial services atmosphere. “During each of these assignments he proved himself to be a valuable part of the team,” explains his then-case manager Michael Whitfield. Dixon learned a variety of skills including proper work etiquette, timeliness, the ability to receive professional feedback and how to work effectively with others. Whitfield, now-Director of Mission Services says Dixon displayed a good work ethic and sought out additional work when his tasks were completed. He worked hard to accomplish the individual goals that he established for himself and kept in close contact with his Goodwill case manager to solve issues that arose. Once his training was complete, Dixon wanted to continue working with Goodwill. The successful completion of training assisted Dixon in gaining an interview for a job opening at Goodwill. As a result of his hard work and determination, Michael was able to successfully secure a position for himself as a Goodwill production team member in September. 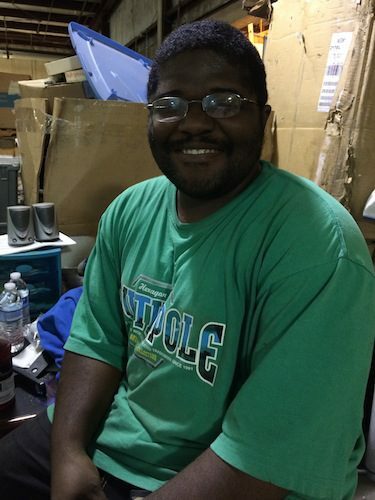 His supervisor reports that Michael is a hard worker, enjoys his job and is happy to be part of the Goodwill family. Goodwill of the Coastal Empire, Inc. is a 501c3 not-for-profit organization with over 850 employees. In 2013, Goodwill provided services to 19,518 people and placed 1,672 into employment. Goodwill serves 33 counties in Georgia and South Carolina, operating 19 retail locations, and nine Job Connection Centers. Goodwill accepts tax deductible donations of clothing, household items, computers, and car donations, as well as operates an online store at www.shopgoodwill.com. For more information on Goodwill of the Coastal Empire, please visit www.goodwillsavannah.org . Find us on Facebook: Savannah Goodwill or follow us on Twitter: @SavGoodwill. Georgia Vocational Rehabilitation Agency, it is about the people we serve. Our goal is to make Georgia the very best State in the Union for persons with disabilities regarding employment and independence. Vocational Rehabilitation (VR) provides services to help eligible persons with disabilities prepare for, start and maintain competitive employment, thus becoming productive and independent citizens in their communities. VR has more than 35 offices statewide with expert teams who work in the community and have in-depth knowledge of both the marketplace and the support services available. Customers are therefore able to benefit from opportunities tailored to their specific needs. Enmark Stations announces they will be selecting four nonprofit organizations to benefit from the 2015 Encourage Health Series based on a Facebook contest. Any Savannah area registered 501c3 nonprofit organization whose mission is to promote healthy living, active lifestyles or nutritional education is encouraged to enter. To be eligible, the nonprofit must “like” the Enmark page (https://www.facebook.com/enmarkstations) and post a comment explaining why their organization should be chosen. The total number of “likes” on individual posts will be considered by the advisory board for the final selection. The four nonprofit organizations that are selected will each be awarded a grant from Encourage Health Education Sponsors and will be allotted an Enmark Dollar Day, receiving $1 for every car wash, donations from Enmark customers at the registers and charity table. Nonprofit organizations should post during the entire month of December on https://www.facebook.com/enmarkstations. The deadline is Thursday, January 8 at midnight. The four winners will be announced Friday, January 9. Once chosen, each of the four nonprofit organizations will receive their own QR code to be scanned with purchases at any of the 64 Enmark stores. The nonprofit organization with the greatest total scans will receive a grand prize. During the last year, Enmark Stations hosted the inaugural Encourage Health Education Series in partnership with Healthy Savannah, the Savannah Morning News, Savannah Magazine, WJCL and GPB Savannah – WSVH 91.1/WWIO 89.9 to present this premier series of five wellness lectures benefiting local nonprofit organizations focused on wellness. The series featured presentations from the area’s most respected experts sharing insights on nutrition, fitness and general tips for healthy living. The speakers for the 2015 Encourage Health Education Series have not been released. For more information, visit https://www.facebook.com/enmarkstations. (SAVANNAH, GA) Goodwill of the Coastal Empire announces that Michael Winckler will join the organization Monday, January 19 as the Chief Executive Officer. Winckler has served as the Vice President of Workforce Development for Goodwill of Coastal and Central Virginia for the past ten years. As the V.P. for Workforce Development, Winckler was responsible for the executive oversight of Vocational Rehabilitation Services, Career Development Services, Government Contracts, and Business Services. During his tenure the organization grew from $17 million in annual revenue in 2005 to $63 million in annual revenue for 2014. During that same timeframe his team quadrupled the number of people served and placed annually, to their current levels of 19,000 served and 2,600 placed for 2014; Winckler and his team also launched several new business lines including eWaste Recycling, Greenhouse operations, Goodwill Staffing Solutions, and Warehouse and Logistics projects for the U.S. Navy and the Defense Logistics Agency. Prior to Goodwill, Winckler served in executive roles in operations and finance for three private sector regional companies. He attained a Bachelor’s of Science degree in Accounting from Virginia Commonwealth University. During his time in Richmond, VA, Winckler was active in his community through the Rotary, serving on two not-for-profit Boards, coaching youth football, and serving as a Merit Badge counselor for his son’s Boy Scout troop. Winckler has been married to his wife Renee for 23 years and they have three sons, Ethan 17, Brett 14, and Owen 11. He and his family are excited to be moving to Savannah and look forward to getting to know the region and becoming a part of the local community. Goodwill of the Coastal Empire, Inc. is a 501c3 not-for-profit organization with over 850 employees. In 2013, Goodwill provided services to 19,518 people and placed 1,672 into employment. Goodwill serves 33 counties in Georgia and South Carolina, operating 19 retail locations, and nine Job Connection Centers. Goodwill accepts tax deductible donations of clothing, household items, computers, and car donations, as well as operates an online store at www.shopgoodwill.com. For more information on Goodwill of the Coastal Empire, please visit www.goodwillsavannah.org. Find us on Facebook: Savannah Goodwill or follow us on Twitter: @SavGoodwill. 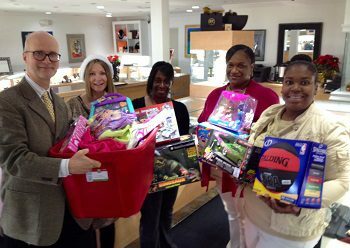 (SAVANNAH, GA) Wesley Community Centers representatives picked up four bins stacked high with toys on Thursday, December 18 at the A&C Gold and Diamonds office located at 9 W DeRenne Ave. Craig Burgess, owner of A&C Gold and Diamonds, collected children’s toys for two weeks. The mission of the Wesley Community Centers of Savannah, Inc. is to promote the economic, educational, and spiritual growth of women, children and families. Located in inner city Savannah, Wesley serves more than 7,800 homeless and low income women, children, and families each year. Wesley Community Centers of Savannah has two nationally-accredited Early Childhood Centers: Wesley Early Childhood Education and Development Center and The Lady Bamford Early Childhood Education Center. In total, the programs have 124 children with over 100 children on the waitlist. Children can start in the program as early as six-weeks-old and attend until they are entering Kindergarten around the age of five. Burgess donated toys such as barbies, hot wheels, baby dolls, coloring books and educational kits. There were also clothes donated and hygienic products. A&C Gold and Diamonds is a buyer and seller of fine items and collectables, primarily precious metals and gems such as diamonds, gold, silver, platinum, estate jewelry, heirlooms, coins, rare currency and more. Owned and operated by Craig Burgess, with locations in Savannah, GA and Bluffton, SC, A&C Gold and Diamonds combines 35 years of knowledge and an expansive network of industry contacts and connections that are unsurpassed in the region. For more information, call Craig Burgess at 912.224.3247 or visit www.acgoldandsilver.com . (SAVANNAH, GA) Carriage Trade Public Relations, Inc. and Cecilia Russo Marketing announce Kaitlyn DeLong has been selected for paid internship during Georgia Southern’s spring semester 2015. DeLong’s responsibilities will include media relations, writing press releases and awards, photography, videography, search engine optimization, researching keywords, social media management, and community relations. Majoring in Public Relations and minoring in Marketing, DeLong is a senior at Georgia Southern University, expected to graduate in May of this year. While working on her undergraduate degree, DeLong is a member and past Vice President of her sorority, Zeta Tau Alpha, and a member of the Statesboro Bulloch County Breast Cancer Foundation. She has also worked as an Assistant Activities Director at Willow Pond Senior Living Community in Statesboro since September 2012. 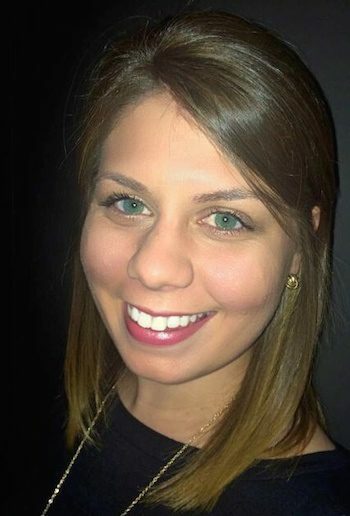 ABOUT CARRIAGE TRADE PR, INC & CECILIA RUSSO MARKETING: The mission of Carriage Trade PR and Cecilia Russo Marketing is to help businesses increase their visibility in their community and globally online using reputation management strategies. CEO of Carriage Trade PR, Inc.